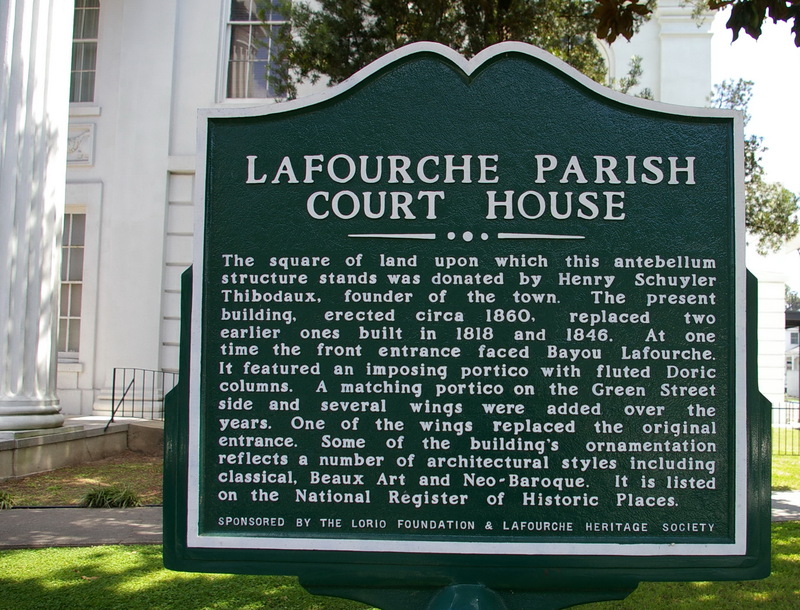 Lafourche Parish is named for the French word “la fourche” meaning “the fork” of the Mississippi River. 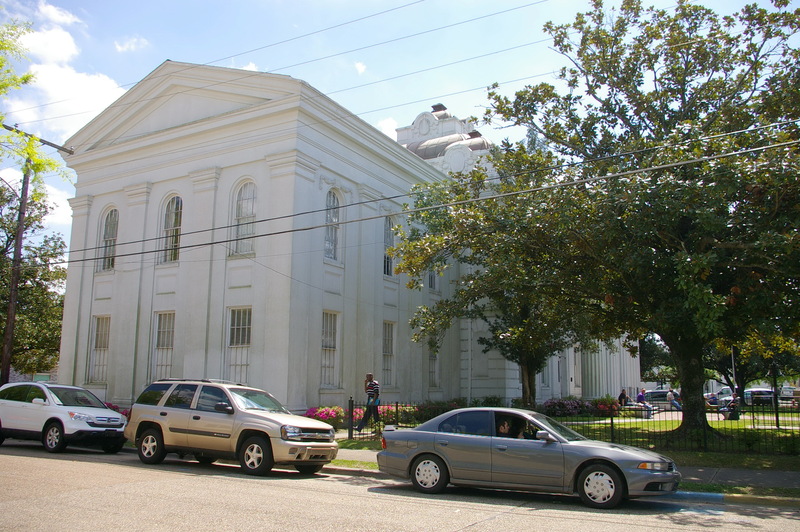 Description: The building faces west and is a two story masonry sheathed in white colored stucco structure. The original building has a south and east wing added in 1903 and a southeast added in 1951 and north wing added in 1958. 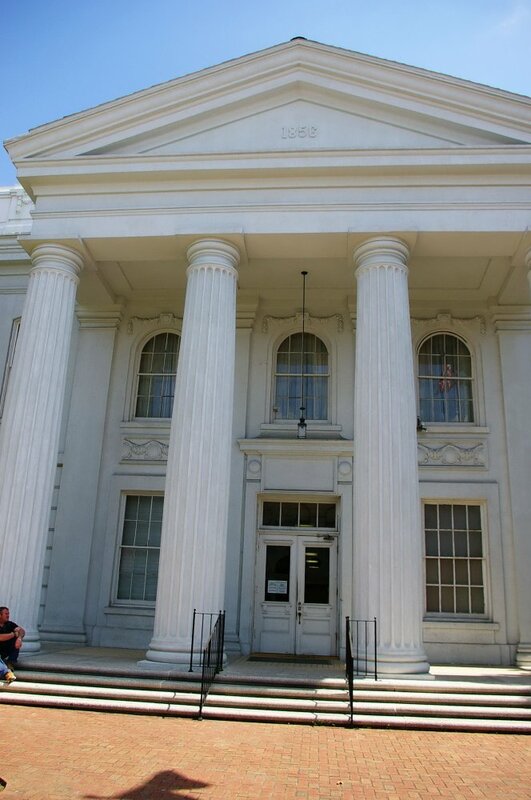 The west front has a large portico supported by four large columns rising a pediment at the roof line. 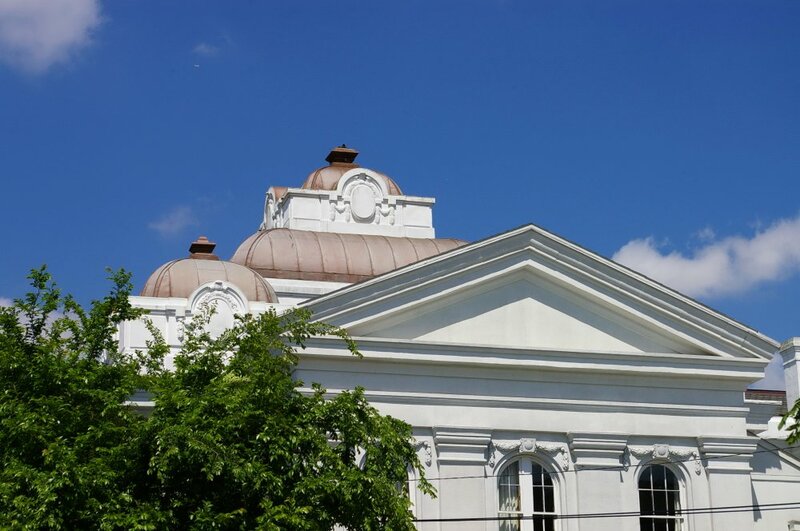 On the center of the roof is a rounded dome. 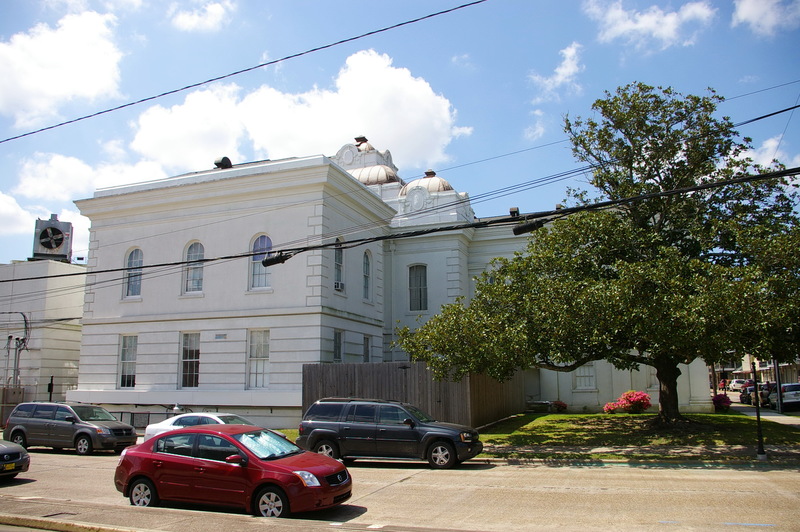 The architect for the 1903 additions was Favrot & Livaudais. 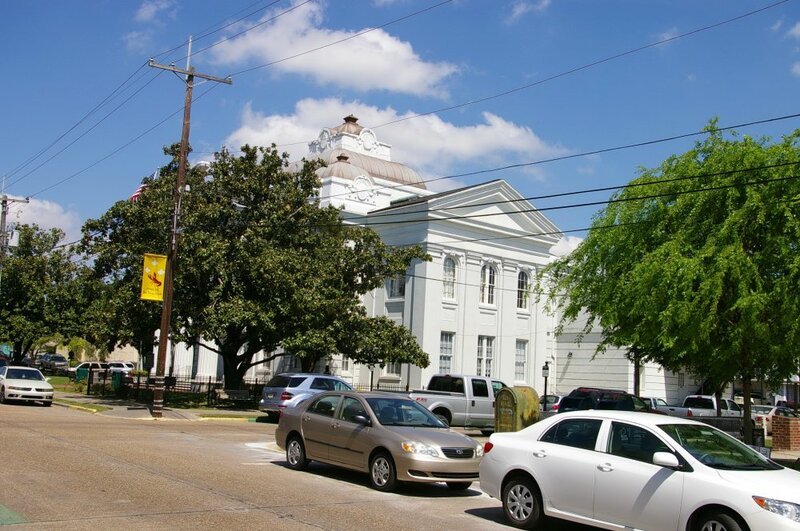 In 1958, the architect was Fernand T Piou and the contractor was J B Talley & Company. 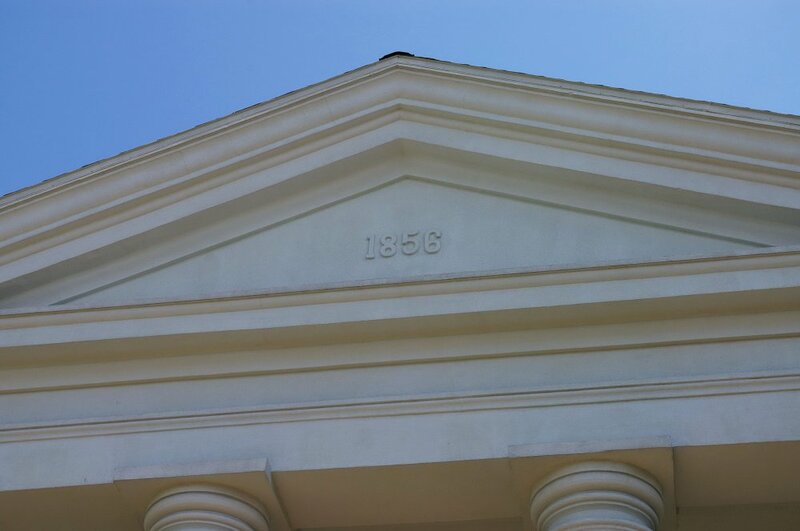 The building was renovated in 1959. 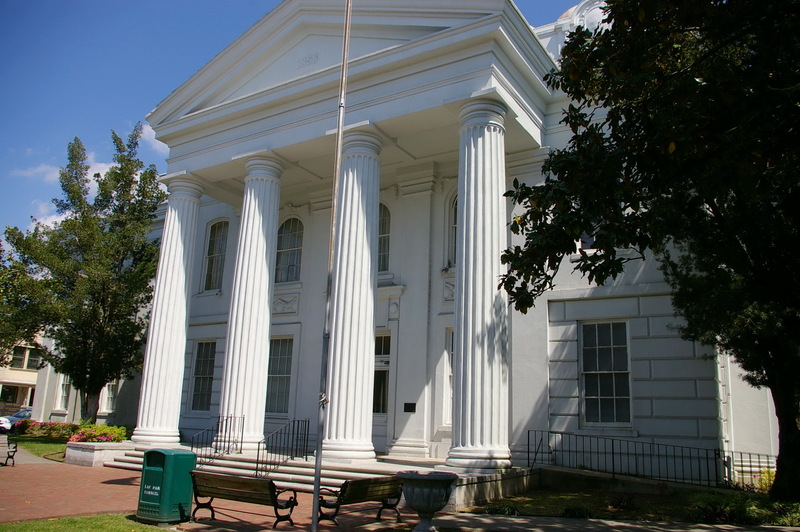 Note : The first courthouse was built in in 1818 and the second courthouse built in 1846. 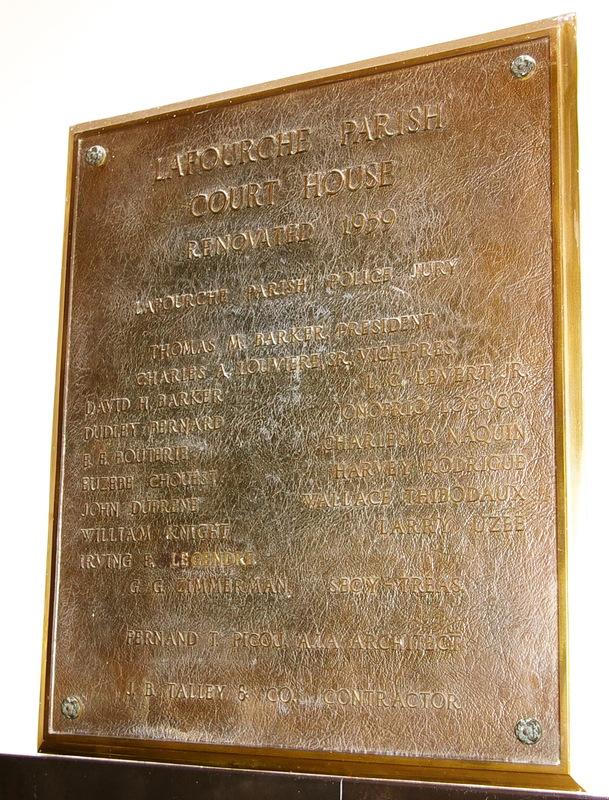 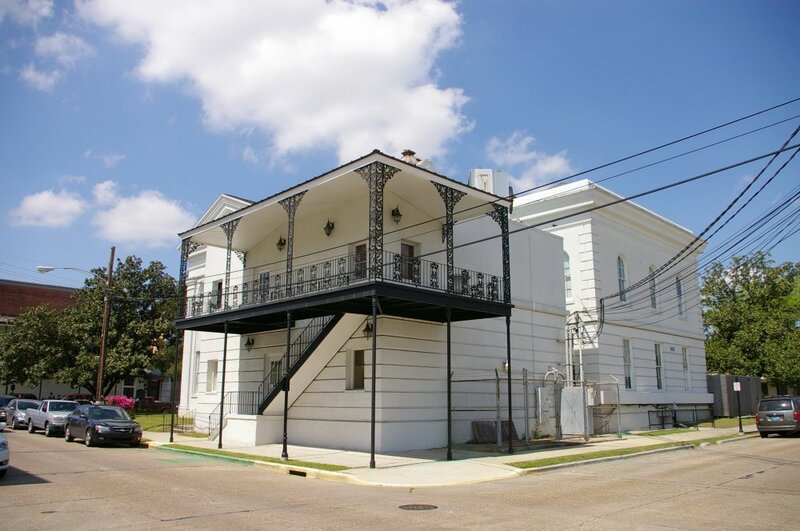 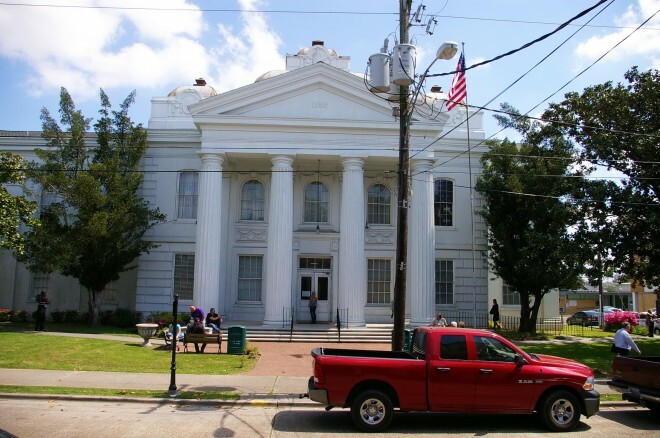 In 1852, the Parish Police Jury appointed John Lyall, F Michael and A B Thibodaux to develop plans and oversee the construction of the present courthouse which is the second oldest courthouse in Louisiana, still in use. 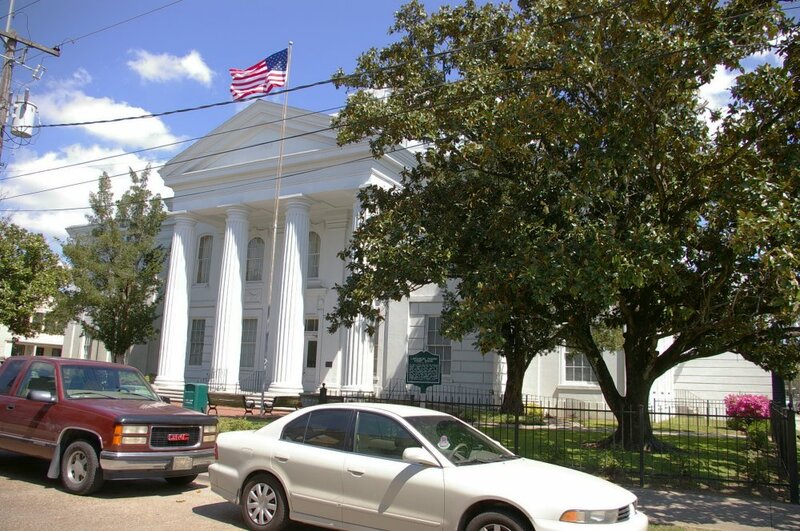 Note: Other old courthouses are located in Claiborne Parish, East Feliciana Parish and Saint Martin Parish.